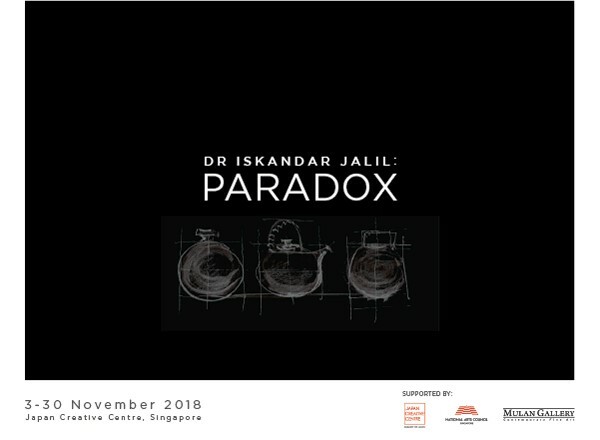 In partnership with Japan Creative Centre (JCC), Embassy of Japan, Mulan Gallery proudly presents Dr Iskandar Jalil: Paradox, a solo exhibition of over 65 works by Dr Iskandar Jalil, recipient of Singapore’s Cultural Medallion and Japan’s Order of the Rising Sun (Gold Rays with Rosette) will be presented at the Japan Creative Centre from 3 November to 30 November 2018. The exhibition affirms the breadth and richness of the Master Potter’s practice through an extraordinary range of wheel-thrown and hand-built ceramic works. With works produced at the Temasek Potters kiln facility founded by Dr. Iskandar in 2010, this exhibition revisits familiar forms and signature glazes as well as introduces recent ceramic works with sculptural qualities and new dynamic glazes. The exhibited works are presented through the frameworks of his philosophy (Perfect Flaws), his travels (Beyond Borders) as well as his bonds and kinship with others (Same Difference). Alongside tea-pots and functional vessels are ceramic pieces bearing evocative forms. A special feature of texts by the Master Potter’s daughter Elena Iskandar, throws light on her Iskandar’s philosophy – suggesting that his convictions are not confined to the making of a pot but to a way of life.